The 2,700 residents of a Northern California town were ordered to evacuate Friday and the governor declared a state of emergency in the area as an explosive wildfire spread. 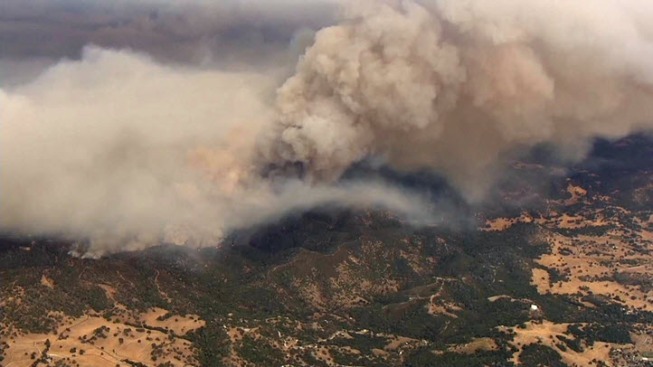 Everyone in San Andreas, about 60 miles southeast of Sacramento, was ordered out as the wildfire jumped from a few hundred acres Thursday to 50,000 a day later. Officials lifted the mandatory evacuations after 5:20 p.m. Friday. Six homes and two outbuildings burned Thursday, and 6,000 more are threatened, she said. The number of homes burned could increase, as Longmore said the blaze was moving through rural areas with houses. Gov. 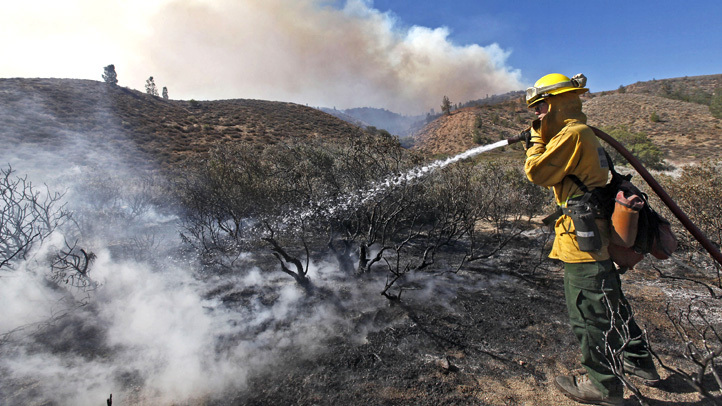 Jerry Brown declared a state of emergency to help in the firefight. Evacuations orders were expected to grow, Phil Veneris, the incident commander in charge of the crews fighting the fire, said in a statement. Authorities have set up three evacuation centers. More than 1,500 firefighters, 178 engines, seven air tankers and 16 helicopters were assigned to fight the fire, which began Tuesday. The cause is under investigation.